The legal market is currently changing at an unprecedented rate and according to the ‘2016 Report on the state of the legal marketplace’, law firms need to make proactive changes to how they provide legal services. This change represents a wonderful opportunity for the legal profession to prosper and excel both in the UK and globally by focusing on market differentiation and profitability. With competition fierce, it is paramount that firms find new ways to increase turnover, reduce costs and offer an all round first class service to their clients. LegalEx provides a wealth of knowledge and solutions for proactive UK legal professionals seeking to develop, expand and elevate their business. Designed for decision makers, practice managers, marketing, IT and many other areas. If you are a proactive law firm looking to grow your business it is paramount that you attend Legalex – May 11 and 12 2016 at ExCeL London. Redbrick Solutions can be found on Stand L236. 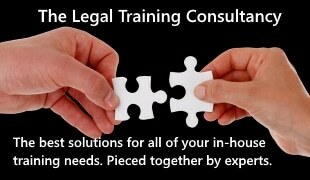 Visit www.legalex.co.uk to book your free tickets today. Supported by all the major legal institutions, societies and leading media firms, Legalex delivers an unparalleled seminar schedule covering such topics as: conveyancing, practice management, artificial intelligence, data protection law, cyber security, marketing, the cloud and many more hot topics affecting the legal industry. The speaker line-up features the foremost legal experts; not only do these seminars bring you the most up-to-date information to maintain and develop your skills, but they also contribute towards fulfilling your obligations for Continuing Professional Development accreditation absolutely free of charge.